My name is Aušra Lazauskienė. I was born in 1973, Vilnius, which is where me and my family currently reside. I first started marbling paper in 2011. I began my practice by grasping the turkish schooling of this trade. Ebru masters Fatih Yeşil and Alparslan Babaoğlu taught me the subtleties of their craft. In more recent times, I took interest in the history of marbled paper, and growth of it throughout Europe and Lithuania, as well as recipes that were used in the olden days. In the summer of 2017 I had a unique opportunity to travel to the United States of America, to learn from masters Regina and Daniel St John. I was introduced to an old paper marbling technique, which was prevalent in XVII-XIX century Western Europe, and was revived from old historic books. Distinguishing features of this technique are the way that paint is prepared using natural pigments, the binder using rabbit-skin glue and bees wax, and paper is polished using agate. 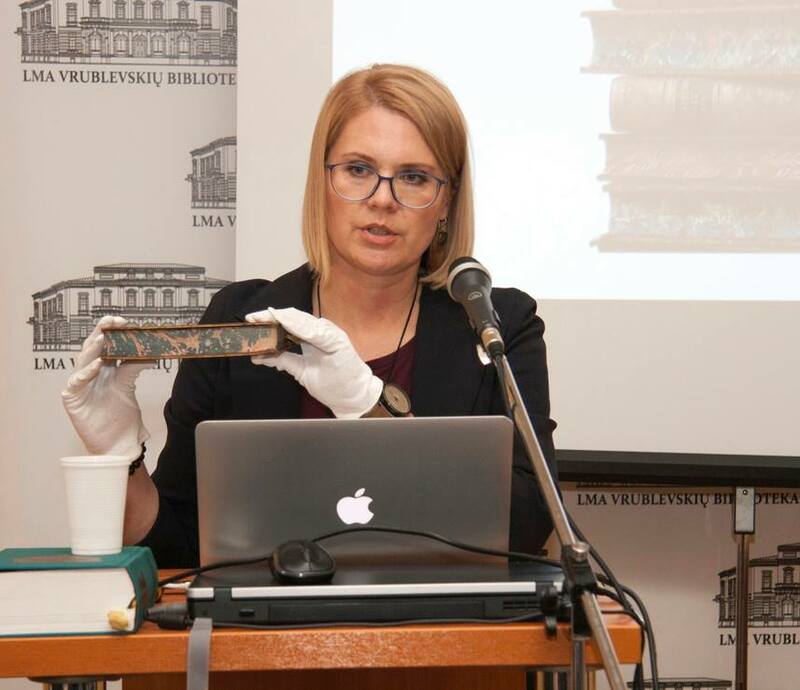 The exhibition “Marbled paper patterns of XVII-XIX centuries“ in the library “Adomas Mickevičius“ (2018).